It’s the summer holidays and it seems like we are the only ones not going away. However at the end of the summer Jesse has a week off and we had talked about booking something last-minute. So I’ve been having a sneaky look to see if I can find any good deals online. Whenever I start to think about a holiday my mind instantly goes into planning mode. I always write a list of destinations, and then set about researching them. I like to see what attractions and landmarks are in the area, if it’s suitable for families, how easy it is to get around. The last one is very important as neither of us drive so we either do organised trips or use local transport. In previous years we have taken Clem to Majorca twice and camping in the South of France. We’ve been to both Cala D’or and Port de Pollensa in Majorca and both were great for families. We found it pretty easy to get around without a car. On one of the days we took the local bus into Palma where we explored the cathedral and city centre. We also went to the aquarium which was really good, and again easy to get to via public transport. Water parks are also pretty high on our list of things we like to do one holiday, and you can find them pretty much every where now. Siam Park in Tenerife is probably top of my list when it comes to these. We haven’t been yet, but once Clem gets a little bigger I think we will. She’s learning to swim at the moment. We’ve been to water parks in both Crete and Zante and they were really good. Jesse likes the more extreme slides, where as I’m happy floating along a lazy river. As well as the fun stuff we also like to take in the local landmarks. 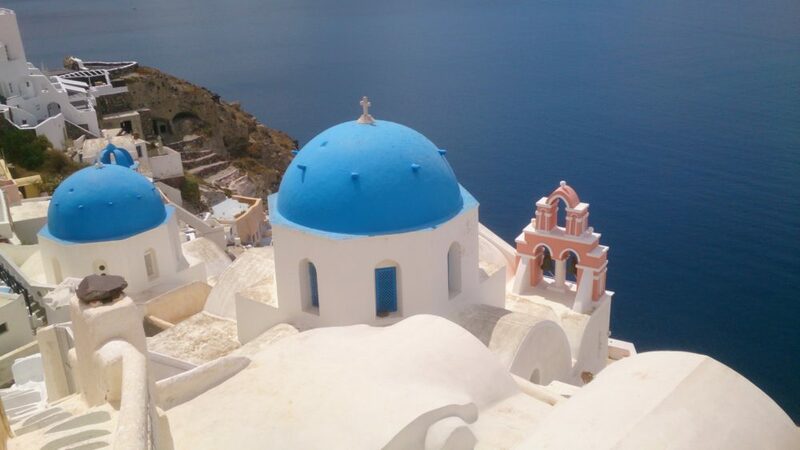 Greece is ideal for this as there are so many famous ones! Crete’s must-see historical attraction is the Palace of Knossos. In Rhodes there is the old town and Lindos, known for its clifftop acropolis, which features monumental 4th-century gates and reliefs from about 280 B.C. 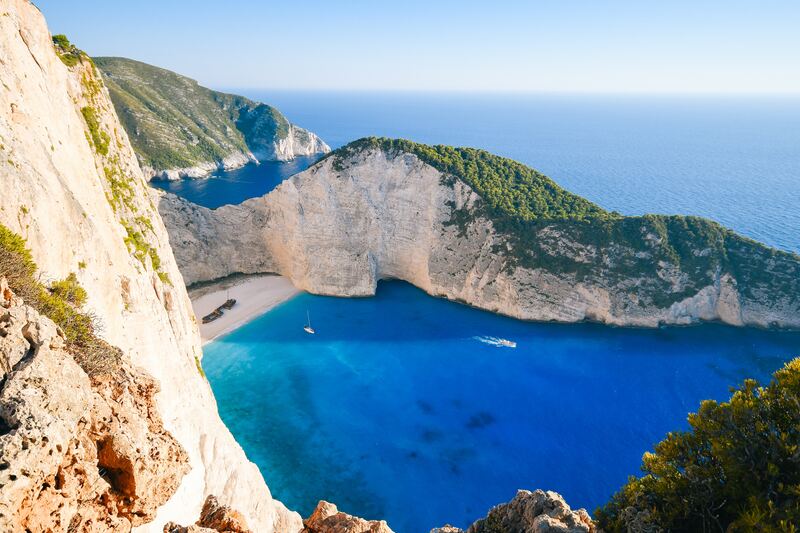 Zante is great for coastal landmarks such as the blue caves and navagio beach with the shipwreck. Why not check here for more destinations and inspiration. I would love to know what makes you decide on where to go? Are you a sit by the pool type of person or a get out and explore? I like to do both.